1000BC are organising a meet up in Bath City Centre before our FA Cup tie against Hemel Hempstead Town this coming Saturday, 30th September. It’s a chance to gather with fellow fans and show the city our colours. 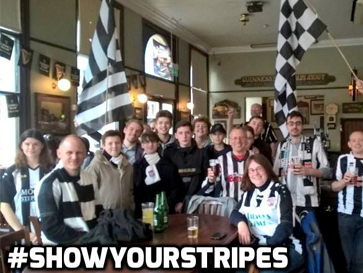 Go along, wear your stripes and then head to Twerton Park to watch The Romans take on The Tudors!